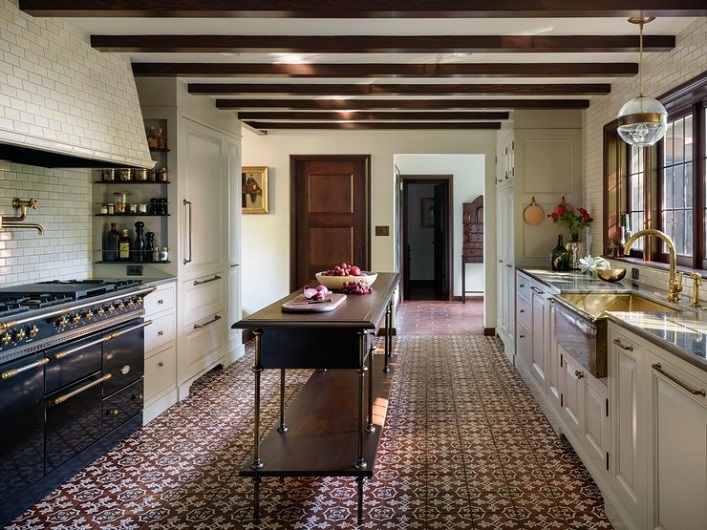 Mix and Chic: Inside a charming historic Tudor home with a modern twist! 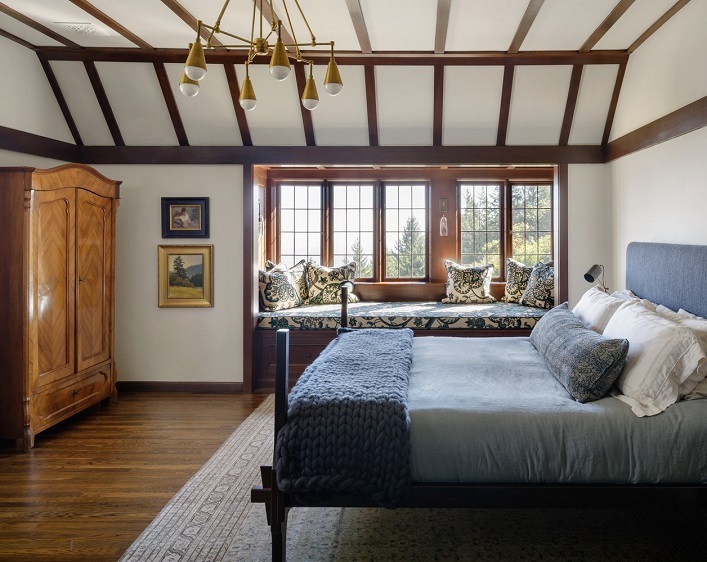 Inside a charming historic Tudor home with a modern twist! 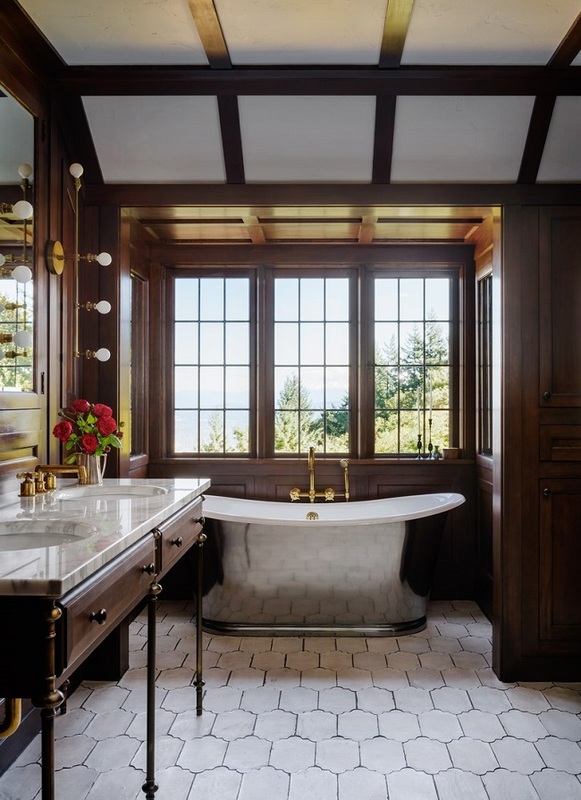 This 1936 Tudor home in Portland, Oregon is given a fresh makeover by designer Jessica Helgerson. 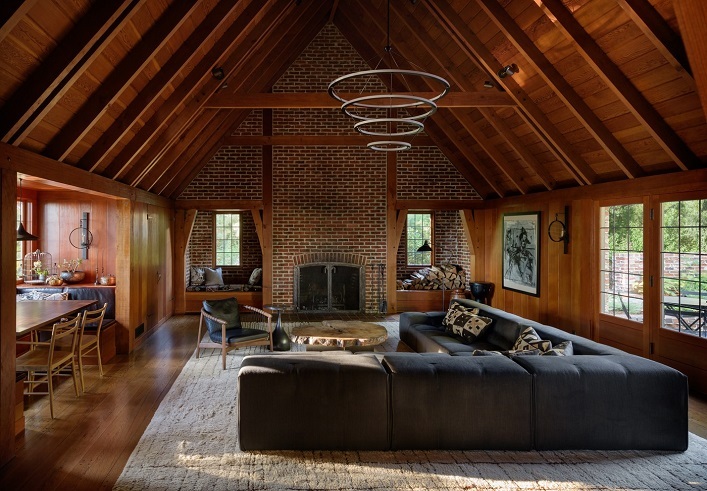 The designer's challenge is to meet the contemporary needs of her clients while maintaining the integrity of the home's original architecture. 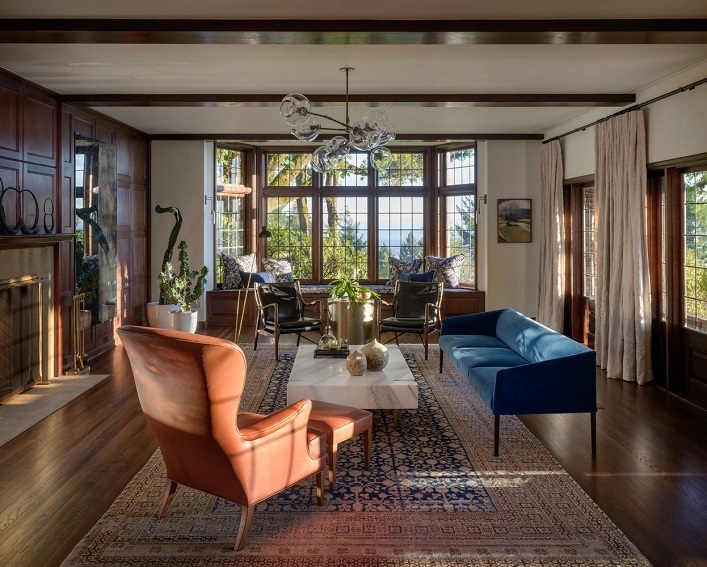 Looking past the outdated 1980s renovation by previous owners, she successfully transformed the historic home by introducing some modern elements. Let's check it out, shall we? I can't stop staring at this gorgeous home! 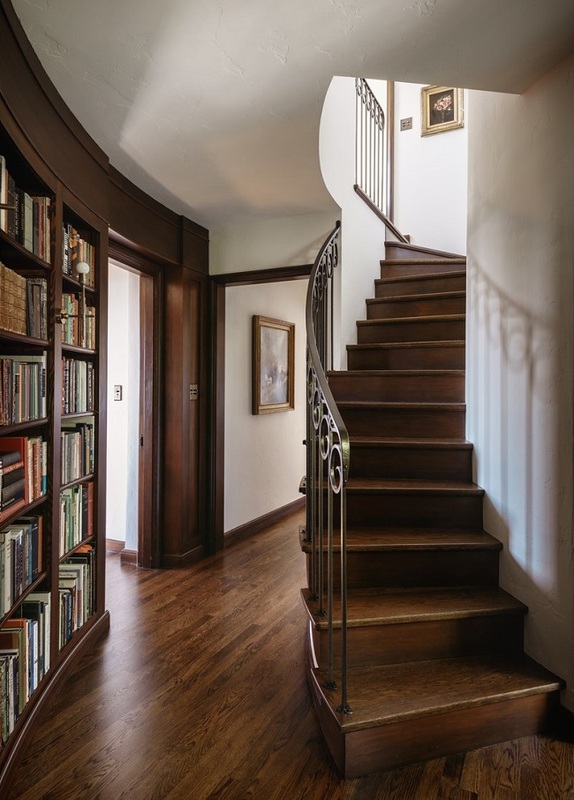 Great features such as the pitched ceilings, handsome built-ins, bay windows, curved staircase, etc definitely caught my eye! 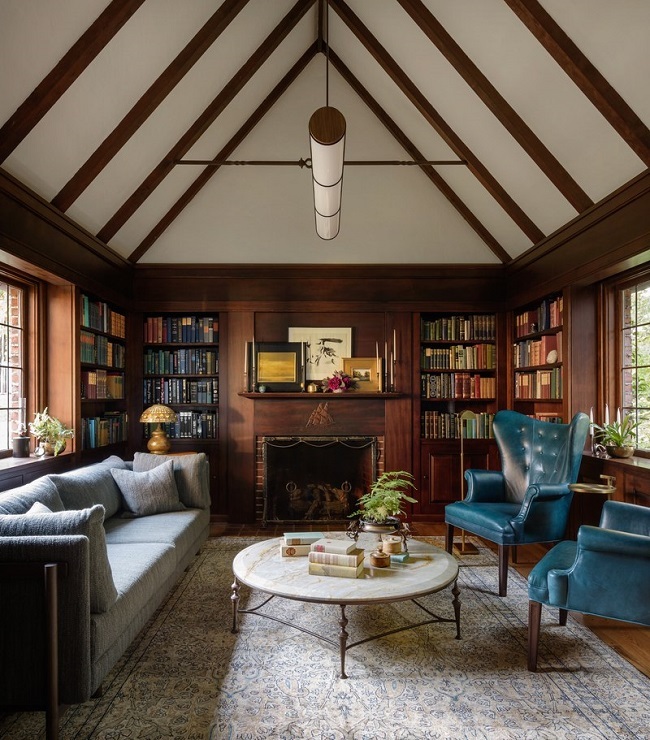 A combination of woodwork, contemporary furnishings, modern lighting, vintage pieces and historic architecture is the key to this fresh and timeless early-20th-century build. 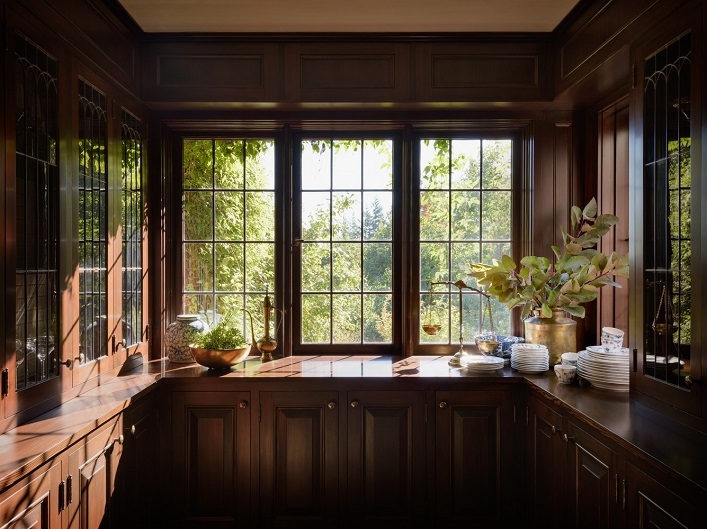 I am especially drawn to the cozy built-in dining banquette, the lovely kitchen and the classic-style master bathroom. Such a beautiful, charming and thoughtfully designed home, what's not love? What are your thoughts? Gorgeous, simply tasteful and comfortable. Although the wood makes it dark, the decorating offsets it and makes the rooms very welcoming. I love the library! The home is unusual and sheer perfection. This remodel certainly makes a huge statement. The lighting is brilliant as is all the design elements.